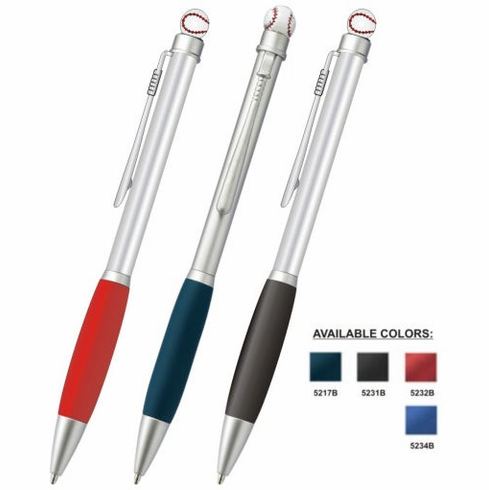 These 5.5" baseball ballpoint pens feature different color grips. White baseball on top and the clip is a baseball bat! Twist-Action Brass Ballpoint Pen.